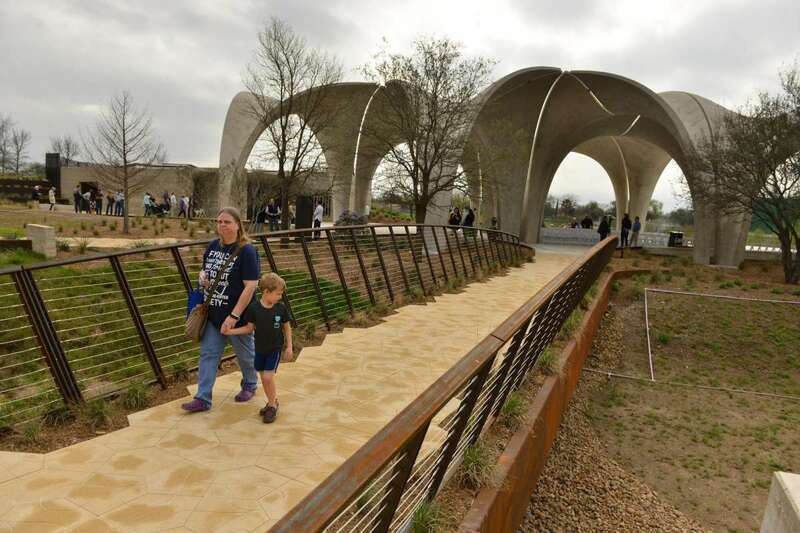 Last year’s Texas Trail Roundup missed the grand opening of Confluence Park by two weeks.. This is your chance to see this amazing park that just won one of the architecture industry’s highest honors, the American Institute of Architects (AIA) Institute Honor Awards for Architecture, one of only nine awarded this year. The award recognizes design achievement in “sense of place and purpose, ecology, environmental sustainability, and history” in contemporary architecture. 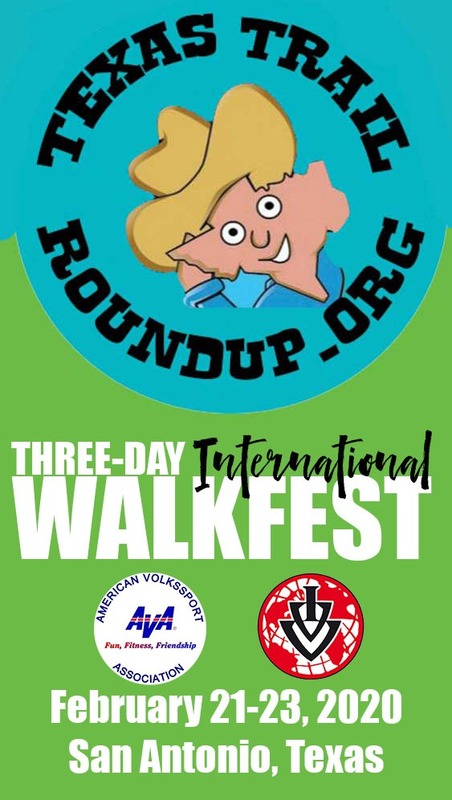 It’s nearby Mission Conception and you’ll be able to see it on all but the 5km walks on Saturday.The location on Mitchell St. is at the confluence of San Pedro Creek and the San Antonio River. The five-acre park, took more than 18 months and $13.7 million in design and construction costs to complete. It replaced a former construction storage yard. 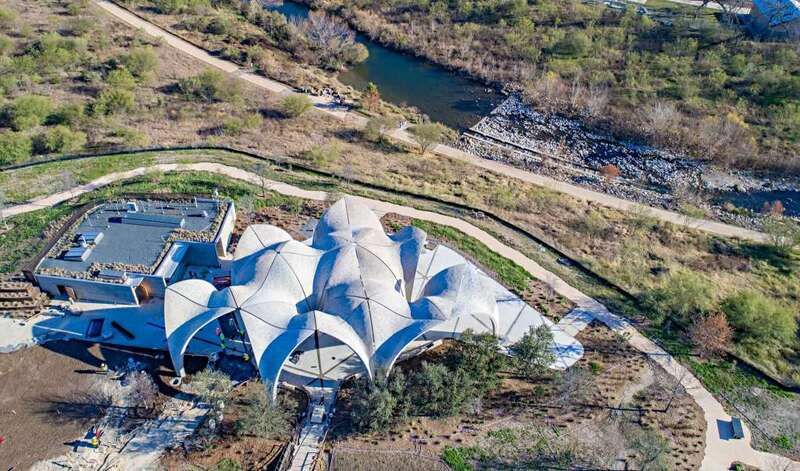 It’s most striking feature is its pavilion, which consists of concrete “petals” that stand 20 to 29 feet tall and act as rainwater catchers, funneling water into native plants and soil to irrigate the landscape. This is part of a A site-wide water catchment system which collects all the rainwater that falls on the site and feeds this water into an underground water storage tank. The concrete for each 40,000-pound petal was poured on-site. The building off to the side is an education center featuring a green roof that provides thermal mass for passive heating and cooling. The entire site is powered by a photovoltaic array providing 100% of on-site energy with extra power that turned back to the grid. 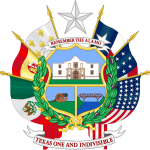 Native grasses, plants and trees are used throughout the park, which is divided into various ecosystems that include Texas Live Oak Savannah, Grassland, Trans Pecos/Chihuahuan Desert and the Mission Reach Restoration, which mimics what you see along the Mission Reach. “Confluence Park is here to tell the story of why this place matters. Why water and resource education matters. 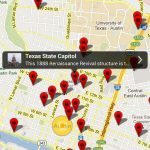 Why telling stories to our children matters,” said Robert Amerman, executive director of the San Antonio River Foundation, which spearheaded the project. 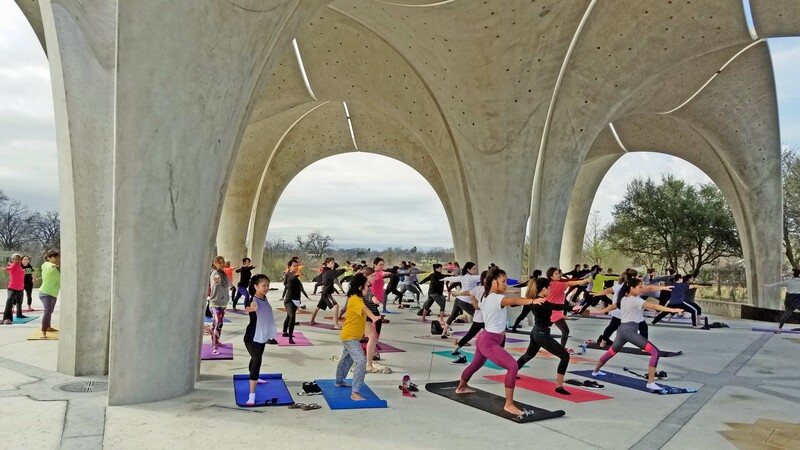 More tha 14,000 students have attended educational programs at the park since it opened less than a year ago and events — such as yoga in the park — are regularly scheduled.